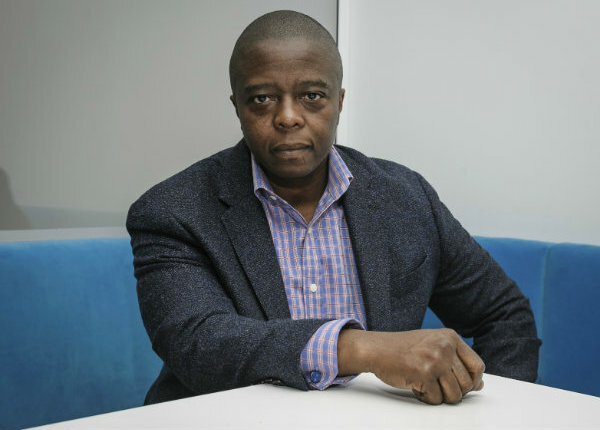 In the Oscar-nominated documentary "Strong Island," Yance Ford stares back at the camera with profound sorrow and calm resilience. "Strong Island," a Netflix release, is Ford's investigation into the killing of his brother, William Ford, in 1992 in Central Islip, New York. Ford, a 22-year-old black man, was shot and killed by a 19-year-old white man — a mechanic named Mark Reilly — after a verbal altercation. But an all-white grand jury declined to indict Reilly and the investigation has remained sealed. "I'm not angry," Yance Ford says into the camera. "I'm also not willing to accept that someone else gets to say who William was. And if you're uncomfortable with me asking these questions, you should probably get up and go." Ford's film is a kind of investigative memoir that burrows into not only the justice of his brother's death but also the still-quaking reverberations that William's loss has had on their family, one that moved from South Carolina to Brooklyn before settling in the suburbs of Long Island. Much of the film's power comes from the raw, emotional first-person filmmaking of Ford, a 44-year-old former producer for the PBS documentary program "POV," making his feature film debut. By framing himself in searing close-ups, Ford dares viewers to analyze their own biases, fears and tolerance for injustice. On a recent winter day, Ford spoke about making "Strong Island" and making Oscar history. Ford is the first transgender filmmaker nominated by the Academy Awards. "I am as proud of my occupying this place as the first transgender director," said Ford, "as I am of the nomination itself." Q: Did you always know that you would take this deeply personal approach in "Strong Island"? Ford: It turned into this realm of a personal film because in the absence of due process, in the absence of justice, the personal film is the only thing that you have left. My producer Joslyn Barnes says it really well when she says personal filmmaking is the language of the dispossessed. Yes, it was a film based in personal experience but it's not really personal. It's just an illustration of what many, many people have gone through. Q: Tell me about your brother. Ford: The funny thing about answering that question, now, 25 years later, what you see in the film is my character attempting to get to know William better. So my answer has to be tempered with what I remember of my brother. The cruel thing about time is that it does things like: I've forgotten what his voice sounds like. Thankfully my sister and I have his diaries. I can tell you that he was a kind, compassionate, loyal person, that he believed in defending his family but also he had aspiration of being a law enforcement officer. He was a young man who was trying. Q: Your film does much to reclaim his story from the narrative described by investigators. Has there been any catharsis for you in making the documentary? Ford: Grief is a very complicated monster. There's no real exorcising of it. It has a different form every day. But one of the things that I am really happy about is 'Strong Island' has pushed something that is consistently sidelined back into our conversation, which is: Why it's so easy to take the life of black people in the United States and be unpunished for it. What systemic bias looks like when it's lived by ordinary people is this. It looks like my family. Q: Your film very directly asks the audience to question itself. Ford: Someone pointed out — Scott MacDonald, the film theorist — that I've brought the audience closer to my face than anyone can actually get with the human eye. So you really do have to confront blackness. And for some people it's a foreign experience. And for some people it's a familiar experience. That proximity puts me into direct conversation with you. I'm speaking directly to you. I wanted to be talking to each individual in the audience. Q: Have you heard from any of the authorities? Ford: (Laughs) No. No, and I don't expect to. (The) Suffolk County criminal justice system is in trouble right now. The police chief was arrested — I won't even list what he was arrested for. But the DA was also arrested. The Suffolk County criminal justice system is broken right now. Q: A video captured your excitement on Oscar morning. What was that moment like? Ford: That moment was brought to you by my social media consultant — a millennial who I essentially do whatever she tells me and then it winds up on the five o'clock news. I had absolutely no idea I would have the reaction I did. But to have that kind of once-in-a-lifetime thing happen, it was just incredible. Q: You made history that day as the first trans filmmaker ever nominated for an Oscar. What did that mean to you? Ford: My transgender identity is new to you because I don't live a public life. It's not new in my life but it's new publicly. I'm incredibly proud to be the first trans director to be nominated for an Oscar. I'm also incredibly proud to occupy a place in what is actually a historic class of nominees for many reasons — to share the space with Daniela Vega, (a trans actress whose "A Fantastic Woman" is nominated for best foreign language film), the oldest woman to be nominated (Agnes Varda) and the first woman to be nominated in cinematography (Rachel Morrison). Steve James' nomination is historic. Firas Fayyad with 'Last Men in Aleppo,' his nomination is historic. So much that cracked open this year. Q: What kind of reactions to the film and your nomination have you experienced? Ford: At every screening since we premiered, at least one person identifies as having survived homicide. And that's been happening for a year. The thing that tells me is that we are a culture awash in violence. We need to look at how to fix, once and for all, the systemic brokenness of our criminal justice system.